This posed little threat to the Lisa Vanderpumps and Paris Hiltons of this world, but those with grownass dogs decided it was time to improvise. It doesn’t specify the size of the “container,” after all. Here are some particularly creative interpretations of the rule, as chronicled by Twitter user @meanboysclub. 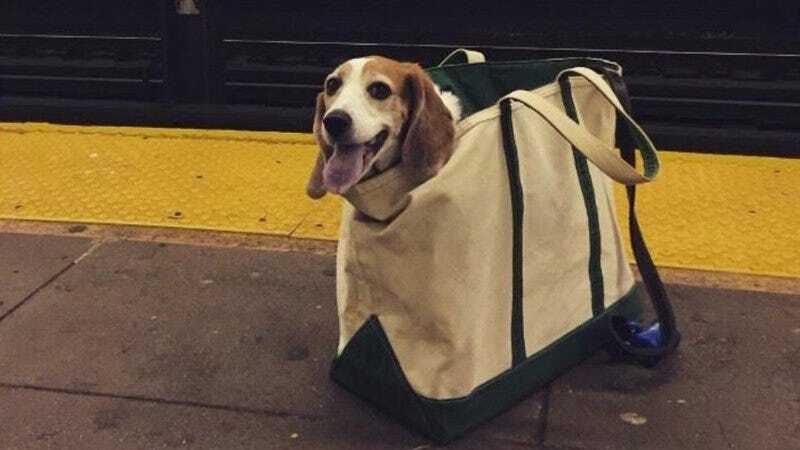 This was not exactly breaking news, but it has resulted in a massive celebration of the ingenuity of NYC subway-riders, all of whom found ways both homespun and complex to help ferry their pups through subterranean NYC. Great Dane owners: We look in your direction.